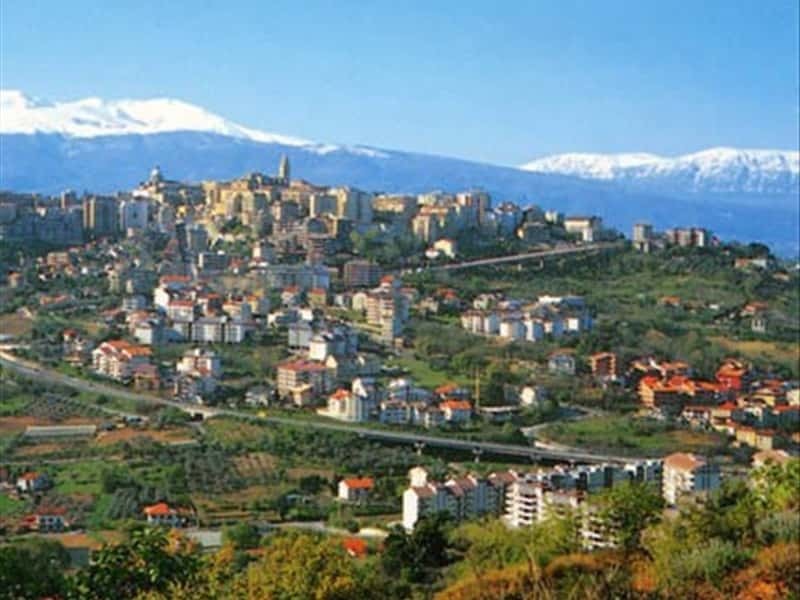 Chieti is situated in the central - eastern corner of the Abruzzo Region, along the crest of the Valley of Pescara and the stream Alento. The city praises antique origins. According to the traditions, the city was founded by the Greek hero Achille who named the city Teate, in honour of his mother Teti. Capital of the Marrucini, a belligerent population that often used to unite to the Romans to fight off enemies such as Hannibal, Pirro and Perseo, king of Macedonia. The first urban settlement is of the Emperor Augusto times, built on the ruins of antique Teate, of which there are still traces, such as: the octagonal road intersection of some of the districts and the well preserved rests of the Temple of the Forum; a great water cistern with the annex thermal baths and the recently excavated Theatre and Amphitheatre. After the fall of the Western Roman Empire, it was destroyed by Visigoths and Heruli, it was oppressed by the Byzantines. Later it was seat of a Gastaldate of the Dukedom of Spoleto under the Lombard Kings. After its destruction by Peppin, it became a fief of the Duchy of Benevento. Chieti recovered some political and economic importance under the Norman rule of southern Italy, at first with Angevine and later under the Aragonese rules. During the 17th century Chieti assumed its actual appearance and during the ages of the Counter-Reformation important buildings started to be edified. The Gothic Cathedral, built for the first time in IX century on the ruins of a pagan temple. Of that building only parts of the Romanesque crypt remain. The church was remade in the 14th century when also the Bell tower was enlarged. After several earthquakes, the church was rebuilt again in the late 17th-18th centuries in Baroque style. A three-naved transept built on a basilica shaped plan. Inside the Cathedral preserves a precious wooden Cross of 1498, a nativity scene of the artist Nicola De Laurentiis, a Missal of Pope Alessandro VI (a liturgical book) of the XV century and in the crypt under the transept there are the rests of San Giustino, to whom the Cathedral is entitled. The Town Hall or New Episcopio, built in 1517 but actually partially ruined, preserves a painting of the Madonna del Suffragio of the XV century. 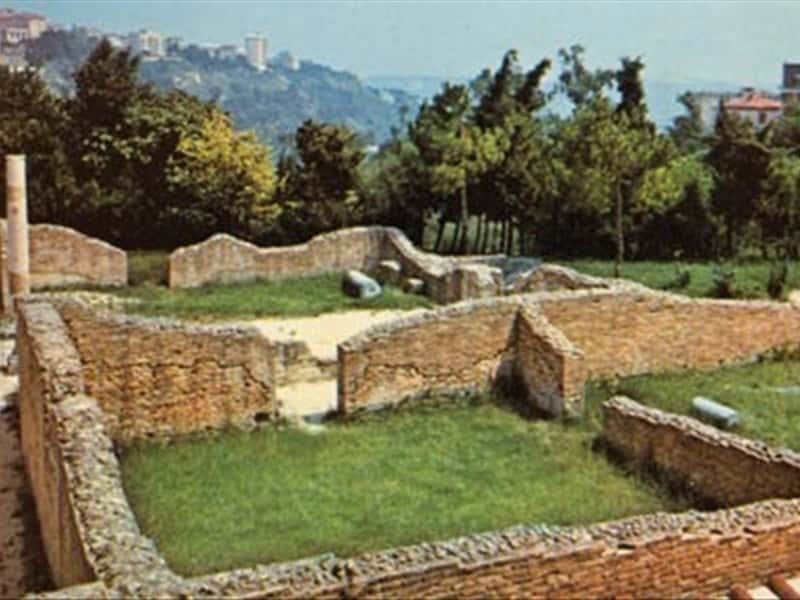 In 1239, on the ruins of the antique Church of San Lorenzo, the Church of san Francesco was built. A one nave building on a basilica shaped plan. Inside are preserved a wooden statue of the Vergine col Bambino (XV century) and the wooden statues of Sant' Antonio of Padova and of San Francesco (XVII century), a wooden scroll of XVIII century and a oil painting of the Tiziano School featuring the Vergine and San Marco Evangelista. 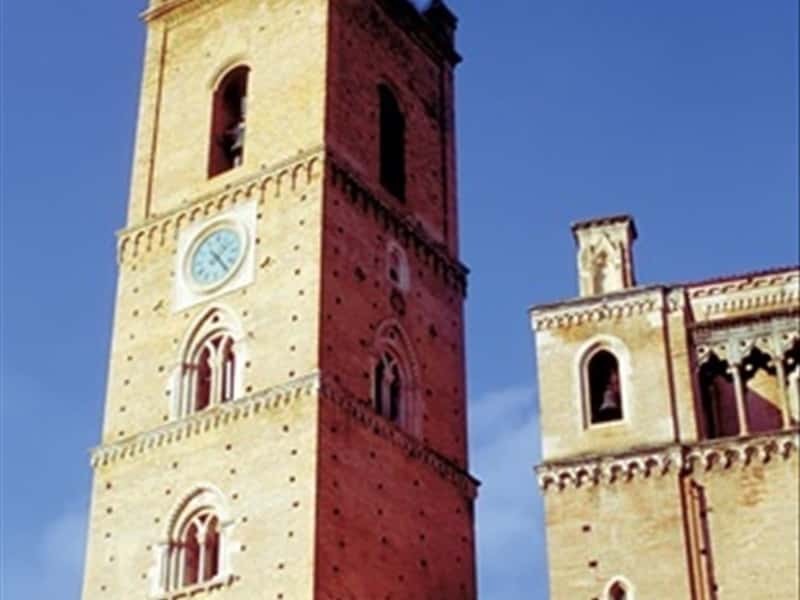 Not to miss: the Church of San Domenico, built on the ruins of the Church of Sant'Anna of the XVII century; the Palazzo Vescovile; the Palazzo del Governo; the Church of Santa Maria alla Civitella (XIII century) ant the antique Church of Santa Chiara . This town web page has been visited 103,617 times.